Friday, March 25, 2016. 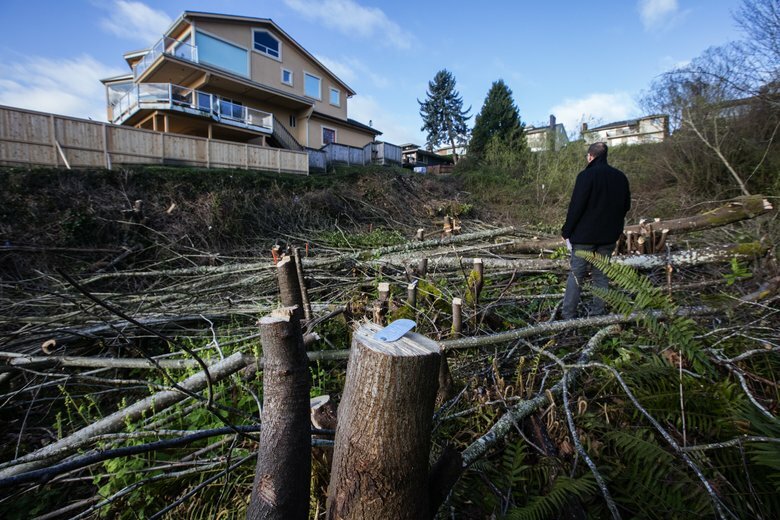 Houses above a ravine at the end of the 3200 block of 35th Ave. SW in West Seattle where trees were cut on property owned by the parks and transportation departments. The Seattle City Attorney’s office is investigating.